Celebrate being sisters! Finished size of quilt is 27.5" x 33.5". The hand printed fat quarter is White or Natural-colored or white fabric quilt panel with black print on 100% Kona Cotton. 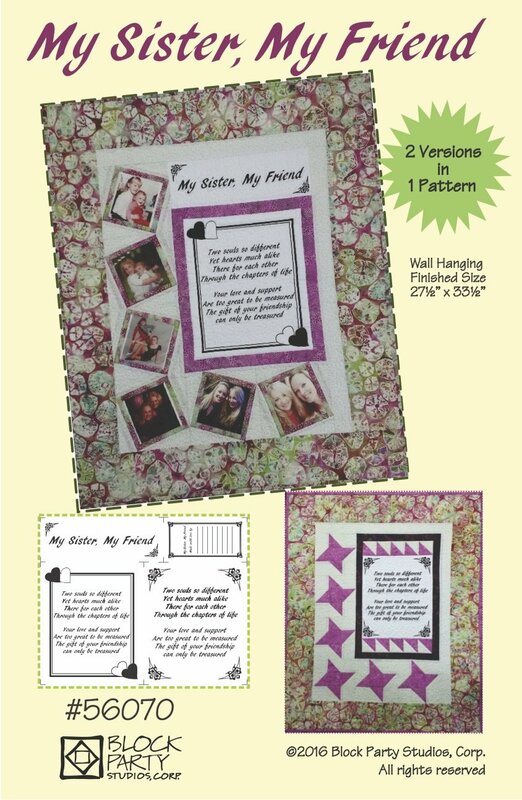 This item includes both pattern and choice of white or natural panel.